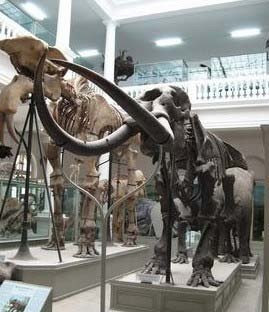 Natural History Museum in Bucharest was founded in 1834. It had different locations before the present one: in the University building, in the Academy Palace and more. The edifice in the Victory Square that shelters the museum now was built starting at the beginning of the 20th century. The frontispice was designed by the arhitect Grigore Cerchez. It was opened on May 24th 1908, in the presence of king Carol the 1st , queen Maria and prince Ferdinand. On this occasion, only 16 of the rooms were opened for the public, the 11 remaining were added in 1914. The name and the history of this museum are undoubtedly connected to Grigore Antipa’s personality, its manager for 51 years, starting in 1893. He was the one to give the museum a structure, created the collections, isisted to the governmen to build an edifice suited for the capital’s Natural History Museum. 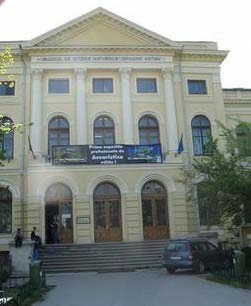 On the museum’s 1ooth anniversary and by the time Antipa had been managing it for 40 years already, its name was changed into „Grigore Antipa Museum”. During the 40’s, the museum had a lot to suffer. The cause was the earthquake in 1940 and also the Second World War bombings, but it was entirely renovated and reopened in 1949 and added two more wings in 1957. The big earthquake in 1977 also damaged the building, that needed serious reparations. The first perception one has entering the museum is the one of a frozen Zoo. The stuffed animals are placed in their habitat and you almost expect them to move behind the protecting glass. One of the main attractions is the squeleton of a Deinotherium gigantissimum, a few millon years old. It was discovered in Moldavia and, although it crushed during the 1977 earthquake, it was successfully restored. Due to its impressive number of exhibits, the museum takes its visitors to a stroll in time and around the world. The diversity takes your breath away: from shells to birds, from snakes to fish, from meteors to fluorescent rocks, from man’s ancestors to monkeys, from reproductions to well-preserved squeletons. The exhibits are not very well displayed and the explanations are a bit long and complicated, but the most appreciated one, especially by children, is the reproduction of a cave. It’s a place worth visiting, both for learning new things and for having fun.